Why has your G-DRIVE Mobile USB-C external hard drive stopped working and failed? 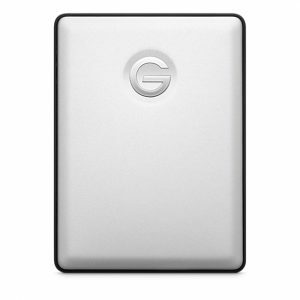 G Technology™ hard drives allow users to store a huge amount of data. Their G-DRIVE Mobile USB-C external hard drives come in a range of capacity including 1TB and 2TB and come formatted for Apple MacBook laptops even if they are also suitable for Windows users after reformatting. Although the manufacturing process is of high quality, hard drives have moving parts that can go bad after a while. Our data recovery technicians are able to retrieve data after a variety of failures. A full diagnostic can be done on the spot, while you wait. Creative IT offers same day and cost-effective data recovery services for G-DRIVE Mobile USB-C external hard drive. We understand the significance of data and the impact its loss has on business in particular. Our data recovery technicians will do everything they can to ensure the complete recovery of your information and give you back the access to your photos, videos, documents or music stored on your drive in a timely manner.